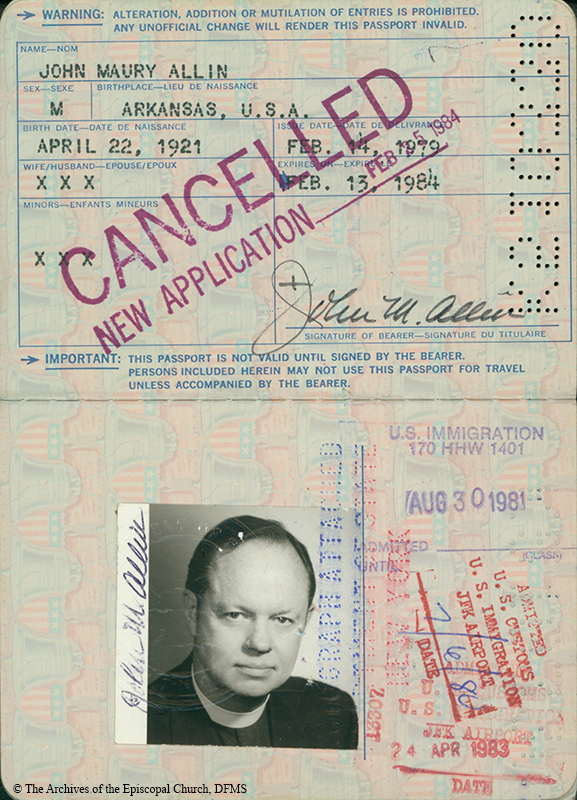 Allin's passport, 1979. By the end of his time as Presiding Bishop, Allin had circled the globe three times. US Department of State, “Allin Passport,” Venture In Ministry: John Maury Allin, accessed April 19, 2019, https://www.episcopalarchives.org/jma-presiding-bishop/items/show/131.